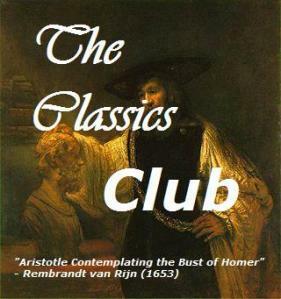 The Classics Club is a group of readers who like to read and post about classics! This fits in perfectly with my intention to read more Classics, especially ones already on my shelves. I might read more than what is listed below, but I don't want to over commit (I tend to do that). With that in mind, I plan to read 50 Classics over 5 years (2012-2017). I should have this reading list completed in March 2017. I have put a few rereads on the list, but didn't want to include too many. All of the rereads are books that I read a long time ago. My reading of David Copperfield goes back the furthest -- I read it when I was 8 years old; and, no, I won't tell you how old I am now! I honestly can't tell you which title I most look forward to reading. It would probably be a tie between: Don Quixote, the Trollope titles, and Ethan Frome. These are books I've wanted to read for the longest time. But, then there is the The Arabian Nights ... and Beowulf ... the Forster books .... See what I mean? I will probably gift myself a lovely edition of a wonderful book when I'm finished reading this list, but I have 5 years to decide and change my mind multiple times. Collins, Wilkie - Miss or Mrs? North and South is on my list too! I also just finished reading the Barchester series last week. I've never read any Trollope and I'm looking forward to it!